Most dog owners are concerned about their dogs becoming overweight. This is especially true with toy dogs, including Pomeranians. Because he’s already very small, it doesn’t take much for him to be too thin or too fat. Because your dog is furry, it can be hard to tell if he’s carrying extra pounds or if it’s just the fur. 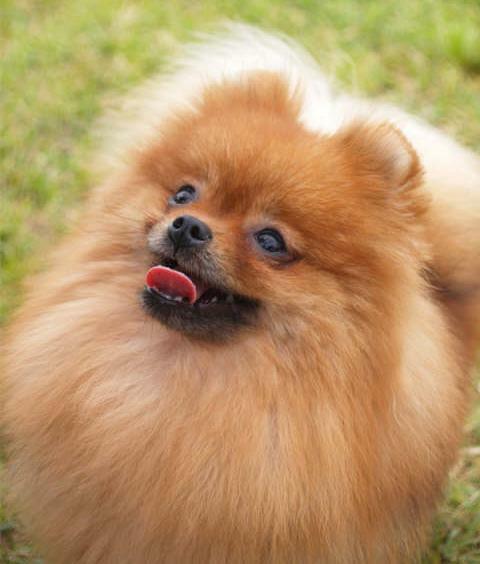 Even a meagre one pound of weight can make a Pom look much fatter because of his initial size. If your dog was a Husky, the one pound wouldn’t make any difference. Until your dog reaches two years of age, don’t be overly concerned about weight because he’s in his growth phase. Once he reaches two years of age, then he’s an adult and his weight should stabilise. As a puppy grows, he can gain weight rapidly and this should balance out as the structure of his bones grows. Diabetes and thyroid diseases are often blamed for weight gain but these issues aren’t often seen in puppies. They’re medical problems that adult dogs may contract as they age. Once he hits the two year mark, you must focus on ensuring his weight remains stable so his health is as good as it can be. Additional stress on his heart and other vital organs. More stress on his joints. Restricted mobility which means he’ll find it harder to play with you and your family and get enough regular exercise to maintain good health. Diabetes – a very complicated chronic disease in dogs as well as humans. So the list goes on and on. Snacks – It’s common for dogs to be given treats during the day and each treat has some calories which all add up by the end of each day. Performance Treats – Owners often give their dog a treat when he behaves or does what you tell him to do. Food shouldn’t be used for rewards. Use hugs, kisses and praise as training tools, not edible rewards which have calories in them. Begging – It’s almost impossible to resist your dog’s “puppy dog eyes” when he’s begging for food. He’ll beg until you train him not to beg by never giving him anything when he begs. If you give him something even once, it breaks all the training you work so hard to achieve. The Fussy Eater – If your dog doesn’t eat his food, that can cause problems. Don’t give in and feed him your human food because he’ll keep on ignoring his own food.